in Southern Germany with the acquisition of the insolvent clay block producer Rimmele. Rimmele is a long-established company with high branch recognition and strong customer ties throughout the Swabian region. 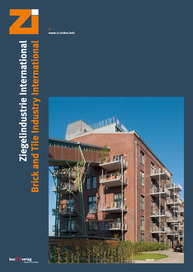 The brick plant in Ehingen is located 80 km southeast of Stuttgart and has a production capacity of roughly 100 million NF (= standard format for bricks). This transaction was completed in January in the form of an asset deal, whereby the parties have agreed not to disclose any information on the purchase price. The acquired assets include a clay pit that has raw material reserves for the next 20 years. The Ehingen plant generated revenues of € 8.5 million in 2008, and 28 employees will now be transferred to continue operations. Optimal regional addition to Wienerberger plant portfolio. More details available on www.zi-online.info (News).